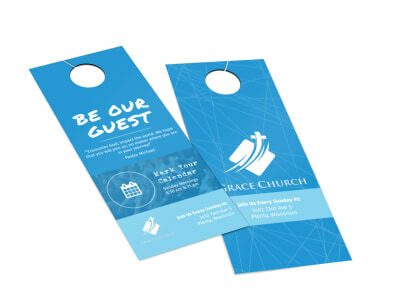 Customize our Grace Church Outreach Door Hanger Template and more! 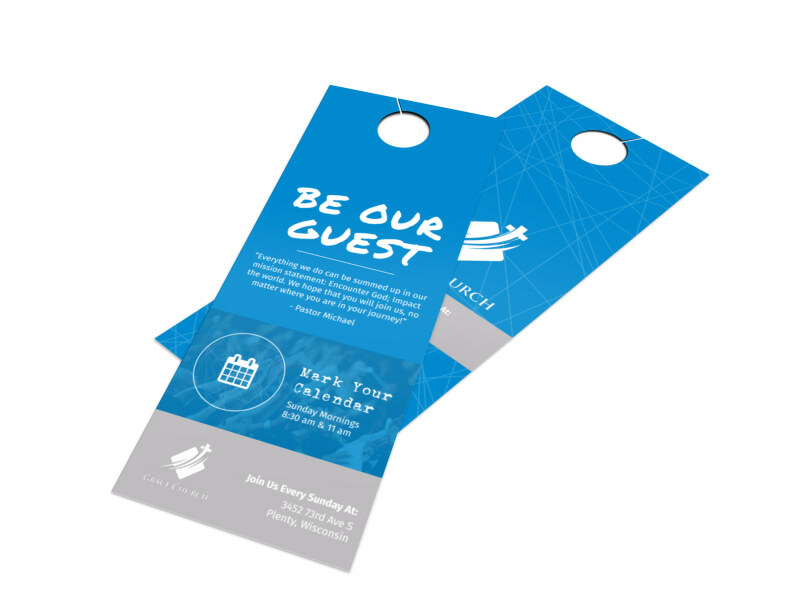 Expand the mission of your church or house of worship with this outreach door hanger that you make yourself using your online editor. 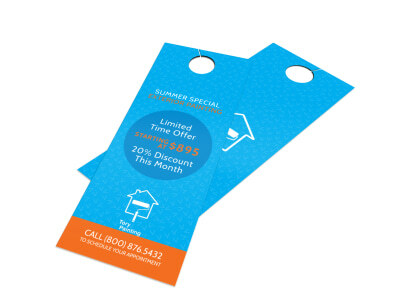 Whether you are inviting the locals out for Vacation Bible School, a women's retreat, or some other church event, this door hanger is a good way to leave your message behind even if no one is there when you canvas the neighborhood. 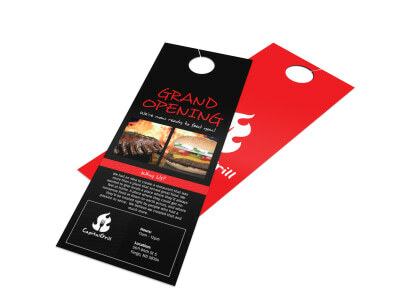 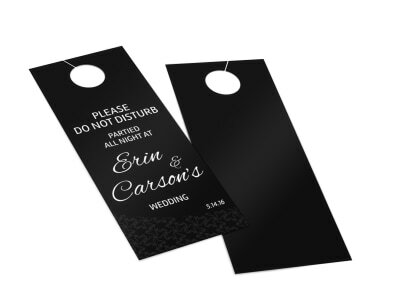 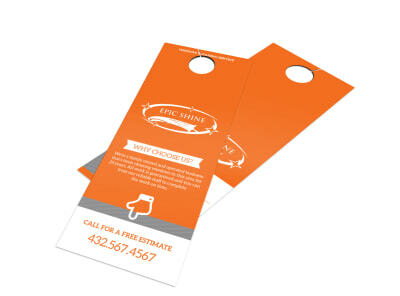 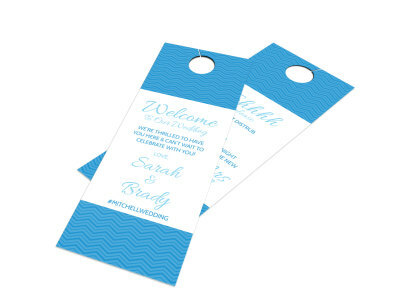 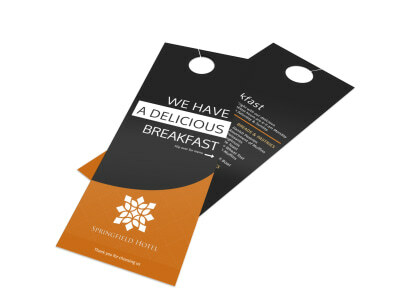 Begin the design process today, and print your door hangers right from your own printer.